In 1862, John Calbreath brought camels to Lillooet to carry the heavy loads along the trails during the Gold Rush. Although he lost his camels and a small fortune, his pioneering spirit inspired us to champion a new wine region and build a winery in Lillooet. This versatile wine is lively and bright. 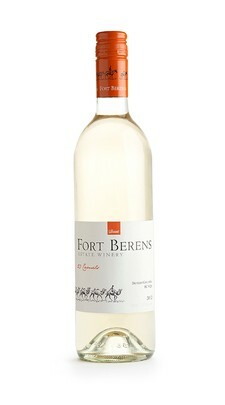 Pair this refreshing white blend with good food, family and friends.